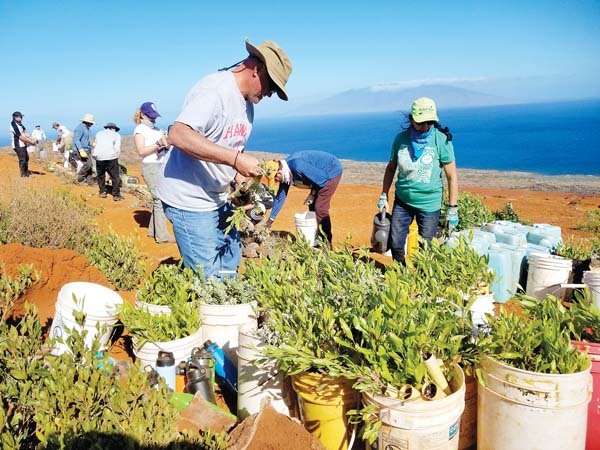 The Friends of Haleakala National Park is seeking volunteers for an overnight service project in Haleakala Crater Aug. 17-19. 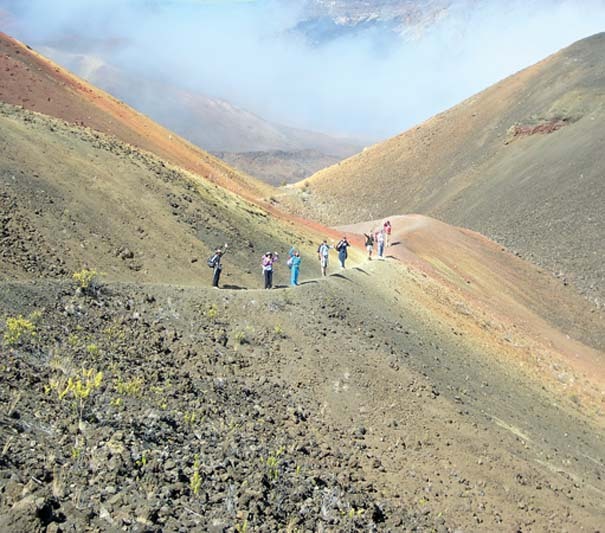 The group will hike into the crater via the Halemau’u Trail and stay free for two nights in Holua Cabin. The middle day will involve work on protection of native plants. In addition to helping the national park, those volunteering will also have some time for hiking, bird-watching, stargazing or photography, as well as enjoyment of the quiet crater wilderness. Participants must be physically fit and able to hike in and out of the crater carrying a backpack with their sleeping bag, personal items and a share of the food. To join this trip, first visit and register readiness at www.fhnp.org, where more information can be found about the Friends’ mission and work to preserve and protect Haleakala National Park. For a reservation for this trip, or for a future trip scheduled on the website, email or call the trip leaders listed for that trip on the website. Doorway Into Light Executive Director the Rev. Bodhi Be will host a Death Cafe at 6 p.m. Tuesday at Fernando’s Mexican Grill in the Queen Ka’ahumanu Center in Kahului. A Death Cafe is a group-directed discussion of death with no agenda, objectives or themes. It is a discussion group rather than a grief support or counseling session. For more information, contact Be at 283-5950. Hawai’i Farmers Union United, Mauna Kahalawai Chapter will present its monthly locavore potluck from 6 to 8 p.m. (doors open at 5:30; dinner served from 6 to 6:45) Thursday at Maui Chef’s Table at The Maui Tropical Plantation. This month’s featured farmer is Aukai and Wendy Hatchie of Maui Goat Yoga, which provides an alternative approach to health and fitness by introducing Nigerian Dwarf Goats to the yoga class as a source for animal therapy, a new avenue to relieve stress. The featured educator for the evening will be kumu Kaleikoa Ka’eo. He is a professor of Hawaiian Studies at the University of Hawaii Maui College. The evening’s food presentation will be done by Chef Hoapili Ane. There will also be live entertainment, prize giveaways and networking. Attendees are asked to bring a dish to share (to feed six people). Otherwise, cost is $10 for Hawai’i Farmers Union United members; $12 for nonmembers. This is a waste-free event. Attendees are asked to bring their own plate and utensils, or they will be provided for a fee. The Kahului Elementary School Community Council will hold its monthly meeting from 4 to 5 p.m. Thursday. Parents, students and community members are invited to attend. For more information, call 727-4700 during school hours. The Rotary Club of Kahului will welcome Keali’i Reichel, kumu hula Halau Ke’alaokamaile; and Koa Hewahewa, forestry manager of Hokunui Maui LLC, to its weekly meeting from noon to 1 p.m. Monday at Tante’s Island Cuisine, located at 100 W. Kaahumanu Ave. in Kahului. Reichel and Hewahewa will speak about their collaboration in reforesting a native ecosystem as part of a new permanent home for Halau Ke’alaokamaile on 4 acres of donated land in Olinda. Lunch costs $20. For more information about Rotary, contact club President Gary Albitz at 281-9672 or albitzkrotary@gmail.com. Rinzai Zen Mission will conduct an Obon Odori practice from 7 to 9 p.m. Tuesday at 120 Alawai Road in Paia (next to Baldwin Beach Park). The practice precedes the mission’s Obon Festival on Aug. 18. There will be a service at 6 p.m., followed by Obon Odori at 7 and entertainment from 8 to 9. Cancer survivors and their caregivers are invited to a free dinner and to walk the first lap of the Relay for Life of West Maui on Sept. 8. Register by Aug. 15 to participate. Shuttles will be available from Lahaina Cannery Mall to the new event venue at Maui Paintball in Olowalu. Anyone who has ever been diagnosed with cancer and their caregivers are encouraged to join the celebration. As the survivors walk, other participants will cheer them on in a demonstration of support and celebration. The family-friendly fund-raising event on Sept. 8 is free and open to the public. Participants will enjoy live entertainment, food and activity booths from 5 p.m. to midnight. Money raised will help the American Cancer Society provide free information and support for people facing the disease today, and fund cancer research that will help protect future generations. For details and to register, visit www.relayforlife.org/westmauihi or call 244-5554.